Among our extensive range of aluminium extrusions, G.James produce a range of high-tensile strength aluminium extrusions for use as roller shells. Whilst not a new product for G.James, these have been subject to increased interest due to the growing mining industry – aluminium rollers can be an excellent choice for conveyor idlers in mining applications. They are available in a range of diameters – 4″, 5″, 6″ & 7″ (101.6mm, 127mm, 152mm, 178mm), and can be cut to short or long lengths as required. Aluminium roller shells result in significantly lighter rollers than those using steel shells. Their relative lightness means they require less power to run, and their reduced weight decreases the likelihood of strain injuries when being manually handled. 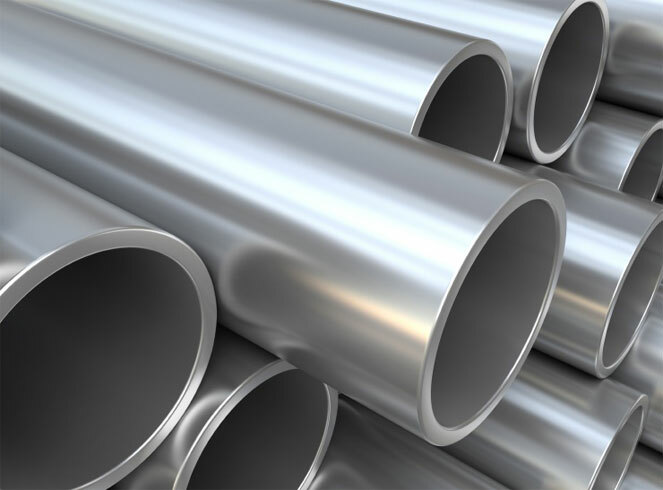 Aluminium is also corrosion resistant – a distinct advantage when dealing with corrosive materials such as coal or salts. Although steel is a harder material, aluminium still offers great wear resistance. All good things do however come to an end – even at their end of service life, aluminium rollers have the advantage of increased scrap value compared to alternative materials. Given the intended application, our roller shell extrusions are manufactured to extra stringent tolerances. Our roller shell extrusions are straight to within 1mm/3000mm, and typically offer a better TIR (total indicated runout – degree of roundness) than steel rollers. This roundness helps to reduce noise – which is an advantage in already noisy environments where OH&S places an onus on noise reduction. Manufacturing tolerances for our range of roller shells are tabled below. External Diameter: Distance across the tube. (measurement 1 in the diagram above). 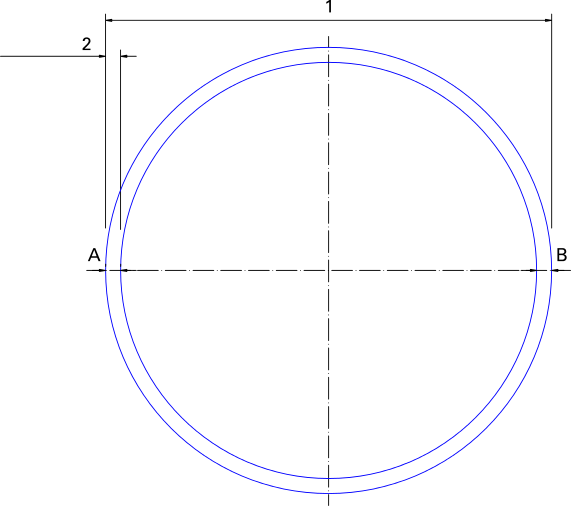 Max Ovality: Maximum distortion from round – ie. the variation between the tube at its thinnest and thickest measurements. Wall Thickness: Distance from the exterior surface to the interior surface (measurement 2 in the diagram above). Wall Thickness Eccentricity: Difference between the thickness of the tube at a given point & the thickness at the point opposite (ie. measurements A & B in the diagram). Weight: Weight per metre of roller length. For further information on our range of aluminium extrusions please peruse our online extrusion catalogue or contact Extrusion Sales on (07) 3877 2833. This entry was posted in Aluminium and tagged conveyor, high tensile, mining, noise reduction, power saving, rollers. Bookmark the permalink.